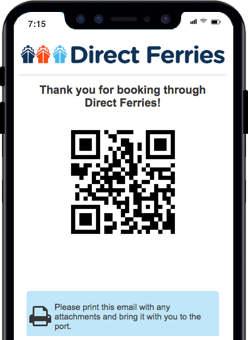 For more information, please visit our Ferries from Ikaria to Aegean Islands page. 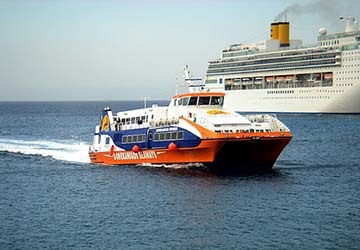 The Agios Kirikos Fournoi ferry route connects Ikaria with Aegean Islands and is currently operated by 2 ferry companies. The Dodekanisos Seaways service runs up to 2 times per week with a sailing duration of around 20 minutes while the Hellenic Seaways service runs up to 3 times per week with a duration from 25 min. So that’s a combined 5 sailings on offer per week on the Agios Kirikos Fournoi route between Ikaria and Aegean Islands. Compare now and get the best fare at the time that you want to travel. Prices shown represent the average one way price paid by our customers. The most common booking on the Agios Kirikos Fournoi route is a car and 2 passengers. Fournoi is a Greek island that lies in the north Aegean Sea and is situated between the islands of Ikaria, Samos and Patmos. The island's long history is evidenced by the many ancient finds that are dotted around the island that date back to the Ionians, Classical and Hellenistic times. Included in the finds are the cyclopean Wall with signs of an Acropolis on the Hill of Ai Giorgis, the ruins of the ancient temple at Kamari and the remains of homes on the sea bed, the shrine of Poseidon at Agia Triada in Chryssomilia. The island's many hidden beaches and small inlets was a haven for pirates during the Middle Ages as their ships could be easily hidden. In fact, at one point the island was named "Corseoi Island" after Corsairs (pirates). The island's main village is Campos and has a number of tavernas, patisseries, shops selling traditional products and bakeries (fournoi in Greek) to greet visitors.